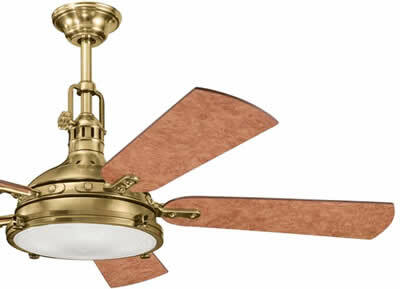 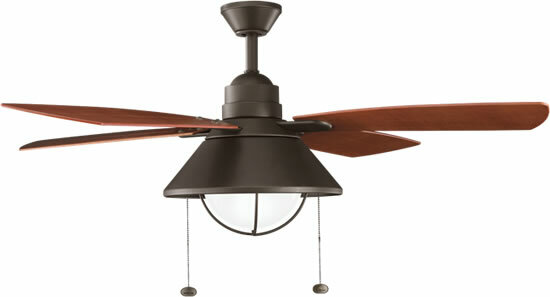 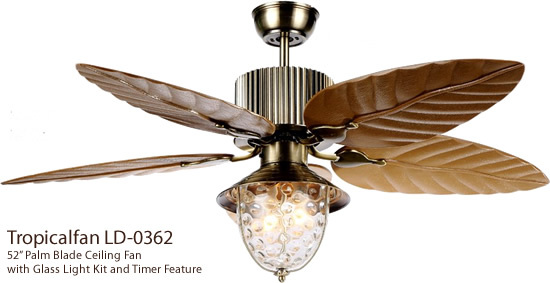 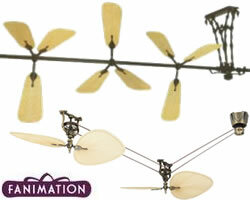 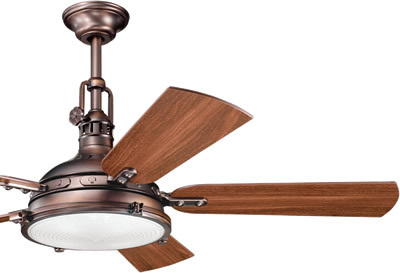 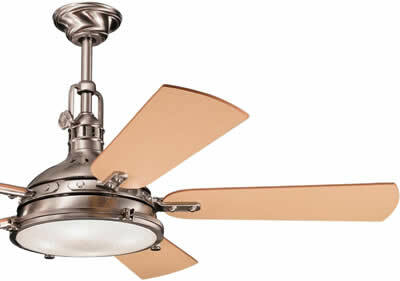 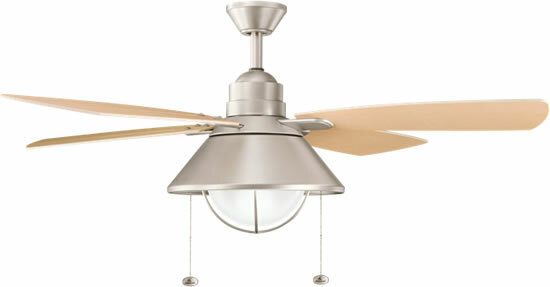 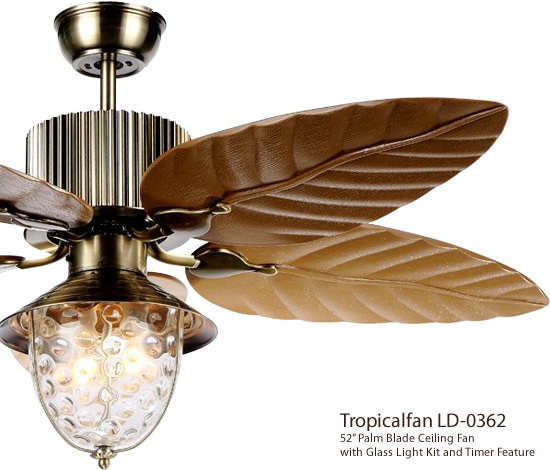 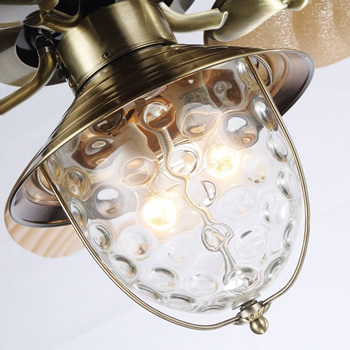 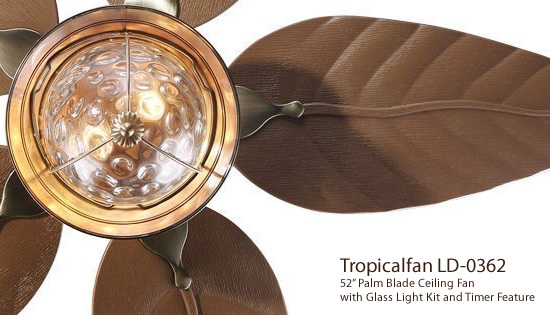 This Tropical ceiling fan brings island breezes to your home. 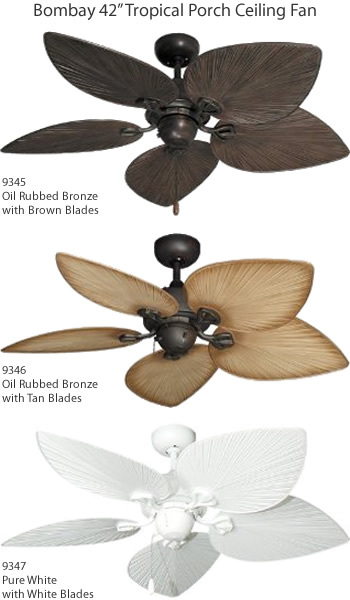 The five blades look like palm branches. 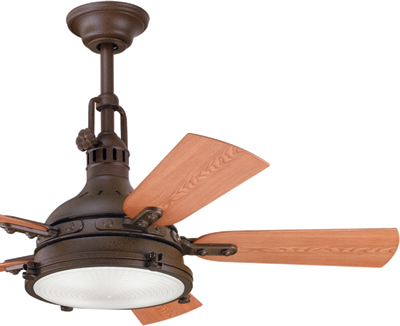 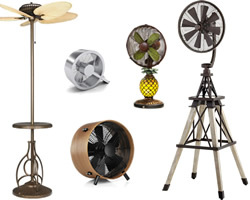 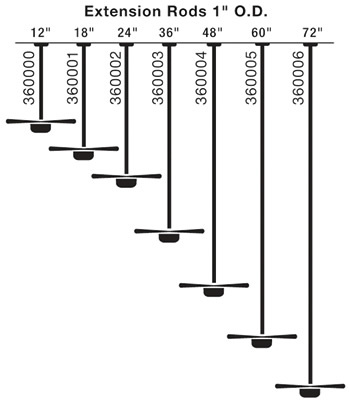 The Bombay model fan has a beautiful tropical design in a damp location fan. 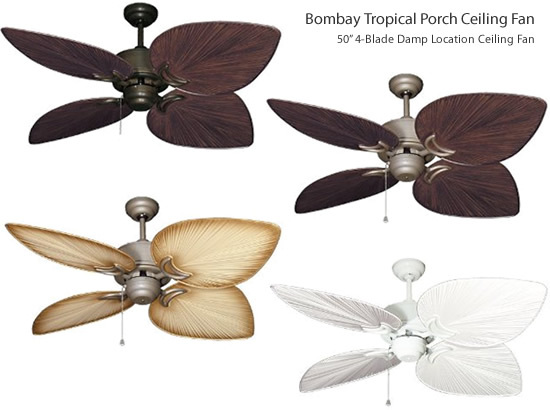 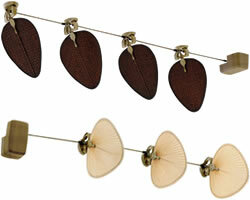 Available in two sizes, both Bombay porch fans have wide ABS palm shaped blades. 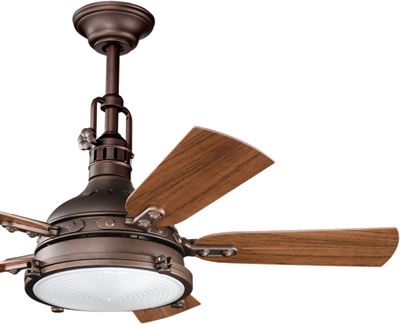 A tastefully clean-styled large high performance motor provides the power.